Quotatis | Aluminium Guttering: Is it the Best Choice for You? Aluminium Guttering: Is it the Best Choice for You? If you’re looking for new guttering, you’ve got a range of materials to choose from. The best one for you depends on the appearance you want and how much you’re willing to spend. Aluminium is a type of guttering material that is definitely worth considering. If you’re looking for a material that’s durable and easy to install it could be for you. To help you decide whether to install aluminium guttering, we’ve come up with a list of its pros and cons. A significant advantage to aluminium guttering is that it’s weather resistant. In extreme temperatures it expands and contracts easily. This is instead of warping or becoming brittle like uPVC does. Aluminium is also less susceptible to UV light damage than uPVC. This means it will last and look better for longer. Aluminium is also a good material to use for guttering because it’s durable. Aluminium is strong and won’t rust over time like other types of metal. And as aluminium guttering is usually seamless, it won’t get worn at the joints and is unlikely to develop leaks. If you install good-quality aluminium guttering it could last for more than 30 years. Another advantage to aluminium is that it’s lightweight. 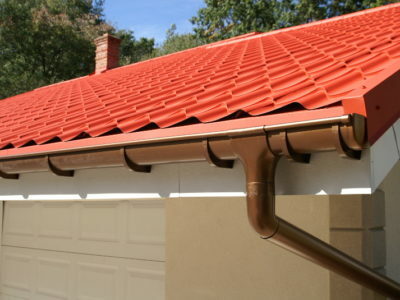 Although not the lightest guttering material, it is much lighter than some other types of metal guttering. 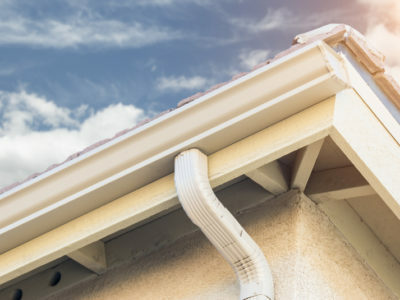 Lightweight guttering is easier to install than heavy guttering and is less likely to put a strain on the building it’s attached to or fall off. Aluminium guttering is also easy to install. Fitting it does tend to need more than one person as aluminium guttering is usually seamless and so doesn’t come in small sections like other types of guttering. But with a couple of pairs of hands, installing aluminium guttering is a fairly quick and simple process. Unfortunately, aluminium guttering is prone to denting. If it’s knocked by ladders or falling bits of debris it can develop dents. 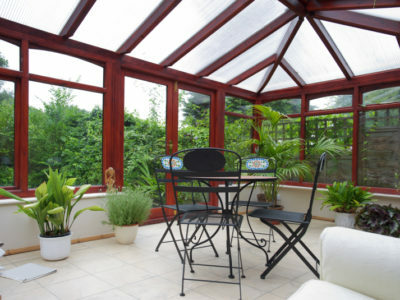 This is unlike uPVC, which is generally more flexible. It is possible to work dents out of aluminium guttering but this can take a bit of effort. Another downside to aluminium guttering is that it can be expensive. 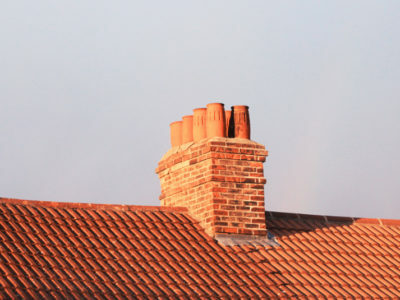 It’s certainly not the most expensive guttering material – it’s usually cheaper than copper. However, if you’re looking for cheap guttering, uPVC might be a better option.